The site requirements vary from city to city depending on the location, demographics, forecast visitor numbers and neighbouring transport infrastructure and leisure facilities. 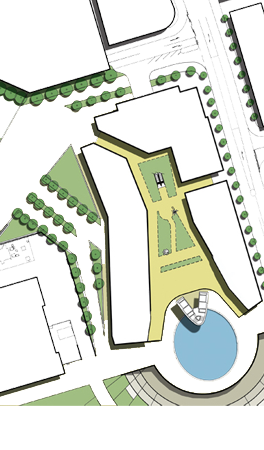 If the VTP is included within a major urban shopping / leisure mall the site requirement for the Tower and Entertainment Centre can be as small as 0.75 acres (0.3 hectares / 3,035 sq.m.). For standalone central downtown locations it is possible to design the Tower and Entertainment Centre to fit on sites as small as 1.0 acres (0.4 hectares/4,046 sq.m.) although 1.5 acres (0.6 hectares / 6,070 sq. m.) is the ideal size. Due to the higher peak visitor demand profile in China, sites in excess of 5 acres (2 hectares / 30 Chinese Mu) are required.